Adobe Illustrator is the industry standard vector-drawing environment for designing across media. With Logickeyboard's Illustrator CC shortcut keyboard, you can express your creative vision with more ease and speed. The keyboard contains more than 127 shortcuts that are colour coded in eight distinctive keycap colours. It is beautiful as it is functional. 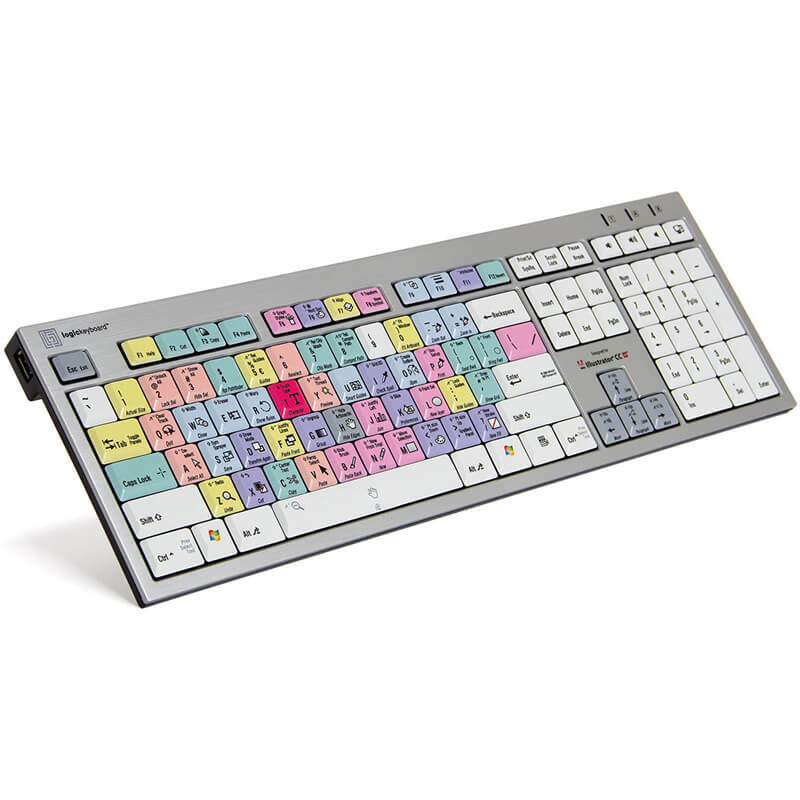 The dedicated Logickeyboard makes controlling Adobe Illustrator CC a lot simpler and faster. Using the Adobe Illustrator keyboard is a great way to learn the Illustrator CC key commands and features all the regular letters, numbers and symbol labelling that you will find on a conventional keyboard, it can simply be used as a substitute for it.